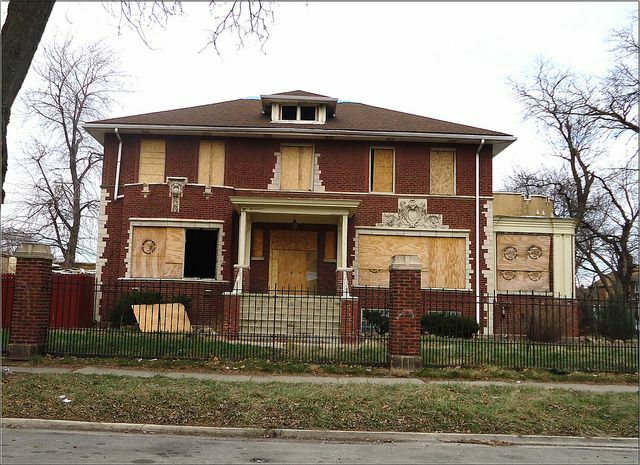 Ever notice a nice-looking house or building which has been vacant for years and no one seems to know why? You might assume that even though the outside of the structure is attractive, surely the inside must be a wreck (busted pipes, moldy walls, nests of raccoons and possums swapping stories about the good old days, etc). Surprisingly, this is often not the case. If structure has been winterized and properly sealed up to keep out the elements, it can sometimes sit vacant for years while experiencing only an insignificant amount of interior damage. Did you know that sometimes the only thing that keeps a nice structure out of circulation is PAPERWORK? We’re talking back taxes, liens, and encumbrances which scare away homebuyers and even the most stout-hearted of investors. This is where agencies like the Cook County Land Bank Authority (CCLBA) step in and work their Hogwarts magic. They have the power to waive all the taxes, water bills, receivership liens, etc. and give the property a tabula rasa to make it more desirable to buyers. And THAT is why they have earned the right to put the word “authority” in their name. CCLBA is a boss. Boom! I’ll share more with you about the CCLBA on Wednesday. Whether you’re a homebuyer or investor, you don’t want to miss these important details about how this great program can benefit your life.